The Federal Government is about to start stripping those who they claim are involved in terrorism of their Australian citizenship. 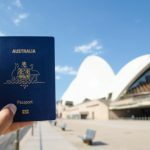 At the end of last year, Australia passed controversial legislation which authorises the Immigration Minister to revoke the citizenship of dual nationals if he believes they may be a terrorism threat. The law places unprecedented power into the hands of a single politician, who can revoke citizenship without any oversight by a court. In a letter sent to Parliament last November, the Joint Councils for Civil Liberties called for the Bill to be abandoned. 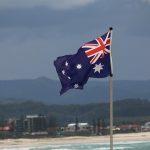 “It is a fundamental error to expressly legislate for two classes of Australian citizenship – it emboldens the rhetoric of extremists who would assert that there are ‘true’ Australians and then there are ‘others’”, the letter said. Despite the criticism, the “Allegiance to Australia” Bill was passed in Federal Parliament, supported by both major parties. Immigration Minister Peter Dutton announced last week that his newly established “Citizenship Loss Board” was currently processing more than 100 potential citizenship revocations. How the Board intends to make its decisions is unclear, and many believe revocations will be influenced by political considerations – including pressure by radio commentators and other segments of the media. On Tuesday, Jacinta Carroll, head of counter-terrorism policy at the Australian Strategic Policy Institute (ASPI) and its deputy director Anthony Bergin complained that the Minister’s power does not go far enough. ASPI is an organisation which is partly funded by the Government. It is mandated to provide expert advice to Australia’s strategic and defence leaders. 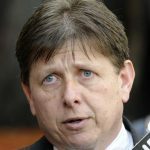 Carroll and Bergin say the Minister should not be confined to stripping the citizenship of dual nationals – but should also have the power to leave sole nationals stateless. While acknowledging that Australia is “unfortunately” bound by international treaty obligations, the pair suggested we look towards the UK, which last year passed a law allowing its government to render its citizens stateless. The legislation is cleverly worded so that citizenship is ‘renounced’ by a person’s actions, rather than ‘revoked’ by the Minister’s decision; which, it has been argued, takes away the potential for judicial oversight. 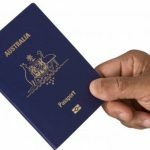 Moves to allow politicians to strip nationals of their citizenship have been considered in a number of other countries. 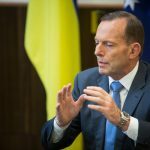 In the past fortnight alone, France announced it had dropped plans to enact legislation similar to Australia’s, while the Turkish President proposed to enact analogous laws. However, most countries are loath to flout their international obligations when it comes to the treatment of their own citizens. Australia has historically been seen as a liberal democracy – a ‘lucky country’ where individuals enjoy a range of freedoms and safeguards against the powers of the State. We have traditionally protected and respected the separation of powers between the government and courts – so that those accused by the State have recourse to courts before their liberty is taken away. Sadly, the last few years has seen an enormous shift away from individual liberties and towards State control – where law enforcement agencies and even politicians have been empowered to make decisions which fundamentally affect individuals, such as control orders and preventative detention orders, without judicial oversight. The presumption of innocence, right to silence, right against self-incrimination, legal professional privilege, right to protest and right against arbitrary detention are just a few areas which have been diluted by hundreds of new laws passed by both State and Federal Parliaments, supported by both major parties, and almost invariably justified (at least in part) by the threat of terrorism. crime and corruption within governments and police forces. 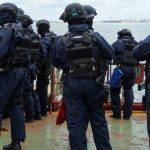 The powers of police and other law enforcement agencies have been significantly bolstered by changes to laws on arrests, searches, meta data retention laws and laws which give officers immunity from civil and criminal prosecution during ‘special intelligence operations’, to name just a few. As we move forward, perhaps it’s time we start to question whether we wish to continue accepting our degeneration into a nation which, in some respects, is beginning to resemble the totalitarian regimes of Nazi Germany or Mussolini’s Italy.